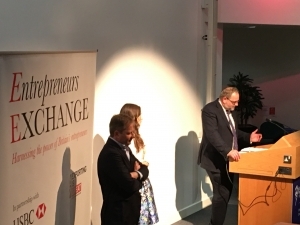 Earlier this month Ella Woodward and Sir Charles Dunstone spoke at the Leeds event for Entrepreneurs Exchange. The event sponsored by UKTI’s Exporting is Great and HSBC bank saw many events across UK cities held concurrently. Ella Woodward is the heir of one of the daughters of the Sainsbury’s family. Her father is the former MP and cabinet member Shaun Woodward. Ella attended St Andrews University in Scotland but following graduation fell seriously ill gaining significant weight. Bed bound Ella started to develop gluten free healthy eating recipes and publishing to a blog. Ella now has 25,000 followers on Twitter and 6 members of staff. Deliciously Ella not only publishes the online healthy eating food blog but also some best selling books. Not bad for a 23 year old entrepreneur. Her advice is to be yourself, be enthusiastic and creative. Following on from Ella was Sir Charles Dunstone. The billionaire mobile telecoms tycoon is not just the founder of the Car Phone Warehouse but also TalkTalk the telephony, TV and broadband provider. Sir Charles stated to be an entrepreneur you have to be a little thick. He went on to state he had just employed an executive who was Oxford educated completing a degree in Politics, Economics and Philosophy. This particular chap is so intelligent he often analyses data and makes one decision only to reverse the decision by analysing another set of data. Sir Charles explained how his approach was to have a clear vision of where you are heading and stick to the course. You will get obstacles and barriers in the way but all you need to do is to find ways to go over them or round them. That’s why it pays to be a little thick as a entrepreneur otherwise you would never get started. Not bad from a person who is one of the world’s top 1000 richest people and a member of the Chipping Norton set. Finally, Sir Charles talked about the importance of looking at your product and service from the customer’s point of view. Talk to your customers and listen to what they have to say so you can incrementally improve your business. Always look to simplify your business because as you grow things become more complicated. Without your customers you don’t have a business! This entry was posted in entrepreneur, entrepreneurship, events, exporting GREAT Britain, exporting is GREAT, Leadership on May 30, 2016 by Sean Gilligan. 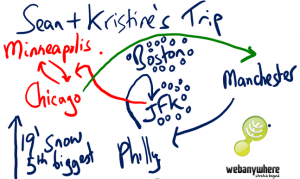 Having just returned from Chicago I can draw comparisons with Webanywhere’s journey in America to my very own personal journey which started early last Sunday morning. I left the house in darkness early on Sunday morning, the first day of a new month. Thankfully the snow was melting in the UK as I made my way across the Pennines. At Manchester Airport I met up with a colleague and we journeyed together across the Atlantic. Our flight was indirect so a short layover would be needed before our onward journey to Chicago. I thought this would be good as we could stretch our legs and perhaps grab something to eat. Little did we know what was about to hit us! Winter Storm Linus arrived on the Sunday creating misery for hundreds of thousands of passengers and the cancellation of thousands of flights. Apparently naming snowstorms is a new thing in the US, and Linus was unforgiving. With our flight cancelled we booked ourselves in the Doubletree by Hilton near the airport. The only bonus was the ability to watch the Super Bowl, and I must say the Americans certainly know how to put on a show. The game ended in controversy with Boston’s New England Patriots narrowly beating the Seattle Seahawks due to some mishandling of the ball. Our journey onwards to Chicago was about to get more controversial as we started to worry about the handling of our luggage. Having had our original flights rescheduled we decided to switch airline from American to JetBlue. 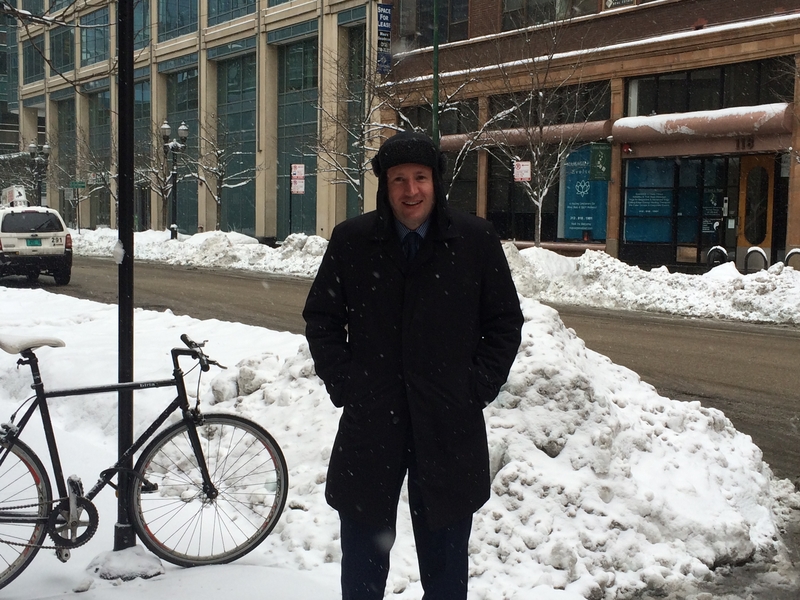 The high passenger demand meant we needed to fly via Boston to Chicago, adding to further delays, and now the cancellation of some business meetings too. Remaining upbeat, we boarded the plane and took off from a rainy and drizzly Philadelphia. We landed in New York thinking perhaps a short delay would prevail and we could set off again to Boston. This wasn’t to be the case. We then switched to another JetBlue aircraft with our bags still on the other plane. Again waiting on the tarmac, the snow continued to fall and once again the plane was cancelled. A night in the Big Apple was inevitable so we rang around 10 hotels until luckily managing to find 2 rooms at the Best Western near the airport. The plastic plates for breakfast were not the best but on the upside we managed to get a direct flight to Chicago the following evening. 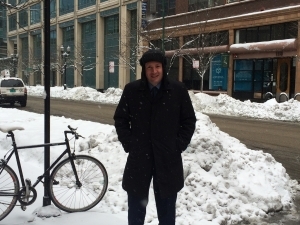 Luckily we were reunited with our bags at JFK and arrived in Chicago under 19 inches of snow – the fifth largest recording of snowfall in it’s history. The greatest irony of all was that my brother had set off to San Francisco 2 days earlier had now beaten us to Chicago! “Failing big” in America is embraced, whilst in the UK this is not widely accepted. 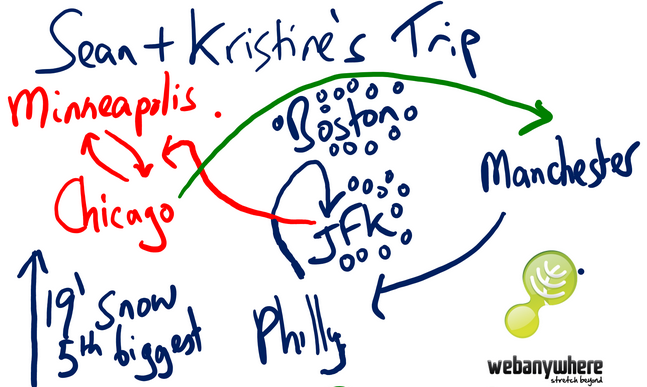 Indeed, Webanywhere started it’s USA journey back in 2010, experiencing a similar stop-start scenario. Our USA expansion certainly hasn’t been a crash landing but nor has it been an easy passageway. As they say in business, it’s not the destination but the journey that matters. Equally, in online learning it’s easy to measure the outcomes of learning via the grade book, but what is more interesting is the journey and the learner journey. 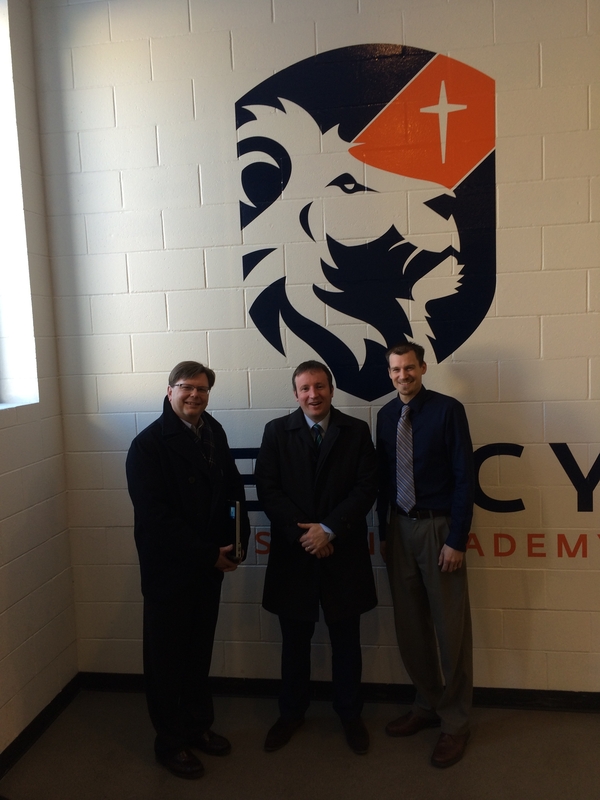 Measuring the progress and learning pathways of students online with big data is exciting. Mapping this big data to their final destinations will create a new industry for the acquisition of talent, and that’s a journey I find fascinating. Webanywhere might build great systems and radar for these student learner journeys, but organisations will always need great pilots – and that’s you, the educators. Webanywhere is now taking off and is hitting new altitudes, spreading its wings across many States and corporations in America. We will continue to learn from our onward journeys as we meet new people and prepare for obstacles along the way. This entry was posted in EdTech America, EdTech USA, entrepreneur, Leadership, Learner Journey, Sean Gilligan on February 8, 2015 by Sean Gilligan. The world of business sometimes has a bad reputation in society. Bashing of bankers from Lehman Brothers, fraud and corruption at Enron and dodgy deals selling weapons to rogue states, not to mention payday loan operators. Businesses can be a force for good. They can bring about social change and advance whole nations. The GDP of a country determines it’s place on the world stage and the living standards that their people can expect. Adding value and servicing customers is what makes the world go round and governments are dependent on businesses for taxation which in turn runs the NHS, our schools, our welfare system, legal system and our whole UK infrastructure. When a substantial business closes whole communities can be ripped apart. The best example in living memory is the UK Coal industry, some areas still haven’t recovered from this. Equally new high tech growth businesses can create new communities transforming local economies. Business is important. Businesses are made up of people and are only as good as the strength of the people’s relationships. In this short book I will share some of my life experiences and learnings for you to take away. In the long term, to be truly successful you have to love what you do. Would you still do your job if you were not paid for it? Passion is not just caring about what you do but really really really caring. What is the purpose of your company? What is the mission and vision of the company? Can you get behind this with all your heart and soul? When you have left a company what will people say about you? Starting with the exit in mind managing people’s expectations is critical in business. Mismanagement of expectations can lead to poor business results. Clear objectives and memorandums of understanding are needed to avoid disappointment. Grey areas in business can lead to ambiguity which means one person may feel let down. Humility is what’s needed and you must always try to be a giver rather than a taker. If you are dissatisfied in business your expectations are probably going to be closer to that of the bosses. Try and be hard on yourself and your boss will be less hard on you! Under promise and over deliver to ensure you deliver on time, on budget and on quality. Try and put yourself in their shoes and make sure you understand what their requirements are and what deadlines need to be hit. It’s easy to break a business objective but it’s much harder to break a promise. Keep your promises, say what you do and do what you say. Never quit. A mining company was drilling for gold for 20 years and they gave up only to find they were 10 feet from hitting the jackpot. Lots of people will say it can’t be done; you’ll never make it; it’s too difficult. Those people should spur you on to be even more determined. The greater the challenge the greater your motivation should be. Success tastes that much better when the road is hard and long. It’s a test of your grit and your determination. It takes 10,000 hours or 10 years to become an expert at anything. How can you get to your 10,000 hours more quickly? Have you got your 10,000 hours in yet? An example of when persistence is needed is when cold calling. The statistics are alarming. Very few people persist on the phone after 10 rejections. It’s like skiing – if you’re not falling, you’re not trying hard enough. Likewise if you are not getting rejected when you’re cold calling you’re not being persistent enough. Do you get tough when the tough get going? You are only as good as your fourth weakness. In business we all have strengths and weaknesses and our habit is to gravitate to the stuff we are good at and enjoy. The stuff we don’t want to do is the stuff we actually need to do. It might be having a difficult conversation. Perhaps it’s working on the shop floor to better understand the production process. Visiting a difficult unhappy customer might give you nightmares but could be the best medicine you receive this year. There is always good in bad. What you actually find is the things that you think you don’t like you come to enjoy. What you have got to do is change your mindset. For instance ‘I love cold calling because I am going to help educate a customer and add value to their lives making things easier, quicker and more simple.’ The alternative is ‘I hate cold calling I am going to get rejected.’ If you think positive you get positive results and if you think negative – yes you’ve got it! Playing to your strengths and enjoying what you do is easy. However, you need to do some heavy lifting of the stuff you are less good at and find less fun. In the film ‘The Iron Lady’, featuring the life and times of Margaret Thatcher, the following rings true. It’s about turning your thoughts into actions, your actions into habits. Your habits are your character and your character is your destiny. We must act for today as there might not be a tomorrow. Speed is equal to value and the faster we can over deliver requests the better we will look. Parkinson’s law talks about how tasks fill the allotted time to complete. What if I was given half the time could I still get the tasks done? The triangle of cost, quality and time needs to be remembered when executing tasks in business. Of course if you increase the cost or time the quality will go up. What you have to think about is how can I deliver 80% of the quality in 20% of the time? Remember for every action there is a reaction. Communication is 10% what you say, 20% how you say it and 70% your body language. Have you ever seen a mismatch where someone’s body language doesn’t fit with what they are saying. With this in mind it’s important to be a happy person. If you smile at someone long enough they will smile back. When you meet someone for the first time, look them in the eyes and smile at them to make them feel special and important. First impressions count and although we should never judge a book by its cover you should dress to impress. The truth is what matters, it’s important when you are listening to people that you give them eye contact, otherwise it looks like you’re not interested. If you have a tough conversation to have with someone, sometimes it’s good to change the environment. People might associate certain locations, such as the boss’s office, with bad experiences and hence anchor this in their minds. Changing the environment and offering someone a tea or coffee can lighten the mood for a difficult conversation. Make sure when you are having a difficult conversation you look people in the eyes. A pound invested in talent is worth its weight in gold. A pound invested on average people is a waste of money. A little extreme perhaps but in terms of return on investment it is true. Of course great teams with no superstars can beat other ‘galacticos’ teams but just not that often. Businesses need to return three times the profit on an annual salary. You need the right people in the right positions. You need to avoid hiring bad people who are negative as this can destroy teams and spread like cancer. Recruit for will not skill. A persons attitude not aptitude is what is important. There is no such thing as a problem just a lack of skills. Skills can be learnt. Superstars not only have the right skills and experience but they are internally motivated to succeed. They want success for the sake of success. People are motivated by different factors, for some money is important, others status whilst others want flexible working or a pat on the back. You need to manage different types of people in different ways as they all have different needs. The best recruits are superstars. They win even with a poor product or service. Superstars are proactive, intellectually curious and are helpful. In the early days of business you need to recruit bank robbers – who can go and create a situation. As a business matures you need bank clerks to keep the business running smoothly following compliance and governance procedures. Finally, winning teams are made of different characters with different skills. There needs to be harmony in the team and the quality of the results will come down to the quality of the relationships and the conversations fostered. Worthwhile work, freedom to do the work your way and a team that celebrates success are key to engaging staff. People need challenging work which they enjoy and a boss to help and support them. Engaged staff will go the extra mile because they love their work and feel a real sense of ownership. The work becomes a hobby with real purpose. Engaged staff look happy, you can sense it. There is a real buzz in the team and the people are energised. Management can get in the way of engaged staff and so new policies, procedures and process must be thought through. You don’t want to introduce change if it means the team becomes disengaged or demotivated. Praise and saying thank you to each other brings a sense of pride and instills a great team spirit. Asking coworkers how you can help them today is a very polite way of making people feel special. Great teams means 2 + 2 = 5 which drives the business’ bottom line. Success then breeds success. Sales is the lifeblood of any organisation – without sales there is no business. No sales means no customers, no product, no jobs and no money. Building a sales force requires recruiting people of a certain personality to drive the business forward. Sales people need to be focused, driven and persistent to accept rejection. Direct sales is when you sell directly to the customer and channel sales is when you appoint a reseller to sell on your behalf. Channel sales people need a different skillset to direct salespeople. Selling to resellers and existing customers needs “farmers” and account managers. “Hunters” are needed for new business development. “Hunters” are out for the kill and enjoy the thrill of turning a prospective customer into a key account. The key account is then passed on to an account manager to ensure the customer is kept happy and their needs are fulfilled. Sales performance is easy to manage. The answer to “Did you hit your sales quota?” is a yes or no. If the answer is no then it will either be down to the motivation of the sales professional or the training. In sales there are 3 key measures for success. Firstly how many leads you generate, then what is your conversion rate of appointments to orders and finally your average order value, sometimes referred to the value of your shopping basket. You need to ensure in sales that the leads are qualified before driving hundreds of miles to appointments, social media can be a great way to engage with prospects connecting on LinkedIn or Twitter and offering free resources and advice. The key questions in sales that the prospects are asking are “Who are you?” “Why should I care?” and “What is in it for me?” On sales phone calls it important to remember it’s about the prospect, not you and you need to listen more than you speak. You have two ears and one mouth – use them proportionately! Furthermore – your tone on the phone matters. It’s not what you say but how you say it. Did you energise the conversation with enthusiasm or was it as dull as dishwater. If you can’t get enthusiastic about the product why should they? The most important question to ask on a sales call is “What are your goals?” Once you understand their goals and their pain points you can direct the conversation toward a particular product or service to meet their unfulfilled need. Some products are necessary purchases such as health and safety training; others are more added value or luxury items such as high-end cars or clothing which people can do without. Understanding the types of product you are offering and how essential they are can help you design a sales pitch. In sales it can often be just as hard to sell a £10,000 as it is to sell a £1M deal. The bigger the deal, the longer the sales cycle and it may take years to close the biggest contracts. In many procurement processes where the value of the request is over £50,000 tenders and requests for proposals are issued. This is often due to EU law and the need for transparency and fairness in procurement. You don’t have to have the best product to have the best sales results. IBM in the 1980s didn’t have the best product but they did have the best sales force and became dominant in the market. It’s the product, silly! Some products sell and others do not. Your job is to create and bring to market products that enhance people’s lives and solve a problem. Commodity products are often purchased on price. Other niche and higher value products have more to do with the people offering the product, the brand and the unique selling proposition. The USP or unique selling point is understanding how your product can be differentiated against other similar products in the market place. Killer products change an industry. There are just 32 mobile apps in the iOS app store with more than 20 million active users. Sticky products which are easy to use and fast to load which spread by word of mouth is what we are aiming for. It’s the search for the next big thing to disrupt an industry. Cash is king. When all is said and done how much money the business has in the bank is all that matters. Forecasting money in and money out in business is an art but if you run out of cash you have no business. Your cash burn rate and breakeven are important figures to understand and how many sales and units you need to deliver to keep your head above water needs to be reported on a monthly basis. The bigger the business, the more compliance and governance there is around finances. Boards of directors look at monthly management accounts to analyse top line growth and bottom line profitability. The commentary of the management accounts and the variance on budgets are discussed by the board. The directors want to better understand budget shortfall and plans of action to ensure the numbers are delivered. Last year, this year and planned numbers are reviewed and businesses with 20% year on year growth are classified as “gazelle businesses”. A gazelle business is a high growth business and overtrading or running out of cash needs to be managed carefully. Key metrics such as average debtor days and profit to cash ratio need to be reviewed. All in all, finance tends to look at the past. Operations looks at the present and strategy looks at the future of a business. Predicting the future is difficult and budgets become out of date as soon as they are written. They are a plan and having a plan is better than no plan at all. Understanding the cash cows, rising stars and dead dogs of a company product line, the profit per full time equivalent and other information can ensure you have a healthy business rather than a zombie business. Steve Jobs said that if you benchmark against the average you get the average. Thus, Steve Jobs benchmarked against the best and expected the best. In order to drive company performance real ambition and drive is needed. Your career success is dependent on two key issues: your drive for results and your relationship with your boss. I always think it’s important to have a good relationship with your boss so that when the results do not come in you have an insurance policy. Setting high standards for yourself and raising the bar will improve your performance and the performance of your team as long as the targets are stretching and achievable. You must learn to over deliver in business. So when your boss asks you to do X do X + 1. You also need to think about what works and what doesn’t. Find out who the superstars are in your department or division and go ask them how they manage their time and how they approach day to day activity. By emulating the best in the business you can be the best. Have clear objectives set out by your line manager so that you understand what is expected and what should not be done. Be dissatisfied with yourself. Ask difficult questions such as “What if I did this?” or “Why are we doing that?”. Leaders ask why and what. Managers ask how and when. Become a leader and think about what you are doing and why you are doing it. Eliminate tasks which do not take you closer to your target. Ask for help when you are struggling and put in the hard yards in when you are behind. This does not go unnoticed by management – people who go the extra mile get more freedom, get promoted, and push their careers forward. The problems of today will be totally different in two weeks time. A problem shared is a problem halved. This might seem selfish at first – sharing your problems with people could be seen as a burden – but the alternative is to keep the problem to yourself. You have to conquer yourself to conquer the problem. Whenever you have a problem and need help and advice from a manager, make sure you propose alternative solutions. There is nothing worse than a manager getting inundated with problem after problem – it’s called “too many monkeys on your back”. Positive options moving forward and seeing the problems as an opportunity for change is what’s needed. Usually there is time to consult others when facing an issue however in certain instances there is not. When the house is burning down you need to shout and get the people out of the building. Getting stressed about a problem is daft – what you need to realise there is no such thing as a problem just a lack of skill. My advice is to skill up and focus your learning on solving the problem. Not only are you going to learn some cool new stuff but you’ll have the opportunity to make it a reality by bring it to life with action. Ultimately the iron clad rule of marketing is that the market will decide whether you have a business. What is the demand for your product? What is the size of the market? Is your market growing or contracting? What are the average order values you can achieve? What are the barriers to entering the market and how fierce is the competition? What is the cost of acquisition of a customer? What is the lifetime value of a customer? And finally what is the return on investment on marketing spend? You need an audience. In the old days of marketing direct mail and leafleting interrupted our days and got our attention. In the new digital age with mobile phones, high internet usage and social media is changing the way we interact with our audience. Search engine optimisation and being at the top of google helps. If you’re number 1 you get 70% of the clicks; number 2 gets you 20% and everyone else shares the last 10%. Twitter, LinkedIn and Facebook provide new opportunities for getting noticed and getting your message across. These should be used in an integrated way. Free resources and white papers should be used to engage with an ever more choosey audience who do their internet research before making a purchasing decision. In the new era the 4Cs of marketing matter rather than the 4Ps. The four Ps covered positions, placement, price and proposition. What is now important is community, collaboration, conversations and co-creation. Facebook and LinkedIn represent massive communities and some Facebook associate apps and games have gone public on the stock exchange. The power of Facebook enabled the millions of customer activations for games such as King.com. LinkedIn on the other hand is a recruiter’s dream where business professionals can be searched and approached in new and powerful ways. Book reviews on Amazon and recommendations on Trip Advisor are making or breaking publishing titles and travel destinations. Price comparison sites such as confused.com and GoCompare are using the power of the internet to provide better prices to consumers. WeBuyAnyCar.com is enabling car drivers to save money by selling cars on the internet instead of trading their vehicles in to a dealership. If you sell on price then it’s a race to the bottom so we need to differentiate ourselves in a crowded market place. Seth Godin talks of the “purple cow” in a field full of cows standing out. We too must stand out and bring our personality to life online. We need the power of our brand to ensure customers are emotionally connected with us and choose us over our competition. Our message online and offline needs to be coherent and consistent. We need to build trust so that prospects don’t just buy our products and services once but that they keep coming back as repeat customers. Driving the average revenue per customer and the customer lifetime value can sustain your business into the future and guarantee future cash flows. Word of mouth marketing is the cheapest form of advertising and turning your customers into fans can really help you grow. You must love your customer and make them feel special – then they’ll recommend you to their network. The customer is king and in fact the customer is the boss. Although it doesn’t happen very often the customers can sack the CEO. You might be asking how? Customers can vote with their feet and if they boycott your products and don’t pay you in droves then your business can go under. Feedback from customers through conducting surveys can drive business improvement through customer insights. Which parts of your product or service are people prepared to pay more for? Which parts of the customer lifecycle do customers get annoyed at? Why did the customer choose you? The ultimate question to ask a customer is “Would you recommend us to a friend?” Products and services referred in such a way spread like wildfire. Customers need to be loved and customer requests need to be responded to promptly without delay. In business it is 10 times easier to sell to an existing customer than a non customer. Customer complaints need to be seen as opportunities to improve rather than a “who done it?” witchhunt. Playing the blame game when service delivery has gone wrong doesn’t achieve anything. Leaders need to hold up their hand and say “We got it wrong” when mishaps occur. Unhappy customers can be recovered to be advocates, champions and fans. What we do when things go wrong is a true test of our character, our values and our culture. Anyone can be happy when things are going well – it’s more important to see how people behave in a crisis and when things go wrong. Some decisions need numbers and other need your gut feel. The question is when to use each technique. Taking away emotions and people numbers can be a good way to make decisions and often you don’t need to make a decision. Sometimes the numbers will not be available or will be inaccurate it is then when you need to listen to your gut. Your gut feel is particularly important when dealing with people and emotional situations. A good question to ask is ‘Knowing what we know now would we make that decision again?’ The right decision today might be the wrong decision tomorrow. What’s important is to have the courage to reverse decisions and eat humble pie when you get it wrong. For good decision making you need to have ‘edge’ to ensure you make a decision and don’t just push the problem forward into the long grass. In some instances no decision is the decision but you must not procrastinate and you should think of the upside and the downside. If the upside is far greater than the downside then it’s full steam ahead. If the risks far outweigh the benefits then saying no is the right thing to do. Some people make decisions based on their own thoughts others are more democratic and ask their inner circle for their opinions. Make sure when you are asking people’s opinions that they have expert knowledge or insight. Turning your car into a university on wheels is a great way to guarantee career success. After all we live in a knowledge based society. iTunes free podcasts and paid for audiobooks are a great way of consuming knowledge relevant to your job. It’s important to get a narrator and a book that you really enjoy as this can become addictive. The daily commute can become both enjoyable and productive. Everything you want to know is in someone else’s head. All you need to do is ask the right questions. The best sorts of questions to ask are open ended questions as these will give a detailed response and not just a yes no answer. Asking what, why, who, how, when and where can be very revealing and you should try and do this as often as you can. I know curiosity killed the cat but you do really need to be curious. Having short, medium and long term goals is important. The greatness of humanity is all the small things added up. If you take your annual target and divide it into monthly, weekly and daily tasks this can be very useful. Some people think that having targets adds a ceiling to achievement. I think that if you smash your daily targets, you will smash your annual target and you will be successful. Targets need to be SMART. This means the objectives need to be specific, measurable, achievable, realistic and time bound. If it can’t be measured it can’t be managed so targets need to have specific numbers associated with them. Unachievable objectives are just demotivating so you need to look back at last years results and take a views as to what is possible. Finally a target must be time bound otherwise it is not a fair test since you have a moving target. The most important question to ask yourself in time management is ‘Am I doing the right things?’ You might be having too many meetings or you might not be communicating effectively with key stakeholders in the business. Looking at yourself in the mirror and asking these question can be useful. There are only two things we can invest. Firstly money and secondly time. How we spend our time can be a key determinant of career success. Often asking the question ‘If I didn’t do that what would happen? can be illuminating. The time management quadrant involves taking your TO DO list and putting each item into one of four boxes. Important and urgent tasks need to be tackled first. Followed by important and not urgent tasks. Urgent but not important tasks can usually be dropped and not important, not urgent tasks can be dropped, delegated or deferred. Energy is as important as time. What time during the day are you most productive? Are you a night owl or an early bird? You can then manage your day to get the best results. The most important thing is to eat that frog. What I mean is to do your worst task first which happens to be the most business critical. Once you have done this the rest of the day will be enjoyable and you can get on with the stuff you love doing. In meetings lots of time can be wasted. You need to ask yourself. Are the right people in this meeting? What can I contribute? What can I learn? And most importantly what are the next steps. Meetings need a clear agenda which should be sent before the meeting and meeting minutes should be circulated afterwards to agree actions and ownership. Remember you can’t get your time back. Everyone on the planet is unique. We all have talents and we must use these talents to the best of our ability to make our world a better place. However there are certain broad types of people and these personality types can be matched to preferred occupations. Jim Knight an American born business consultant has designed IMA Strategies (www.imastrategies.com) for evaluating personality types. There are four main types of personality. Big picture creative (yellow), big picture logical (red), mastery of detail logical (green) and and mastery of the details creative (blue). Although there are no hard and fast rules marketing people are often found to be yellows whilst programmers and accountants are green. Blues tend to be great customer support people and relationship managers. Whilst reds are often very goal oriented and completer finishers – they make great sales people. Big picture people tend to talk fast, whilst mastery of detail folks prefer a slower paced. Learning where people prefer a slow or fast pace can help when you are communicating with people and building relationships. Creative people make decisions based on people and feelings whilst logical people would like to see the numbers and data in the argument. Lean theory addresses the need for driving efficiency and effectiveness in business. Business are evolving all the time and it is easy to bring about extra complexity which can cause problems. Less is more and we need to eliminate waste in our businesses. Waste might be a customer waiting too long for a product or a business shipping a defective products. Total quality management and getting products right first time will reduce waste in the long run. In the book the Toyota Way “kaizen” (continuous improvement) is described. When issues emerge on the Toyota production line all the staff stop work and gather round to see what the problem is. This happens quite a lot at first but over time this improves and quality standards are driven upwards. 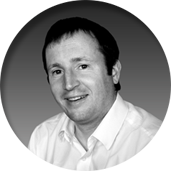 Making business processes simpler can be challenging. 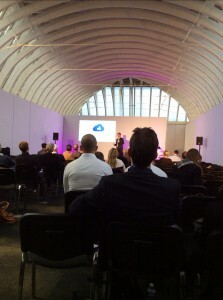 However complexity and complacency in businesses needs to be eliminated. It is a good idea to pretend to be the product, going through the process from start to finish. How did it feel? How could the process be improved? How could it be quick, faster and cheaper? What is leadership? For some people it means being followed. I actually believe it is the ability to change a person. It’s about doing the right thing, however difficult that is. When you have to make decisions it’s good to go back to the purpose of the company and the company values. Our purpose is to create jobs so: does the decision create or cut jobs? 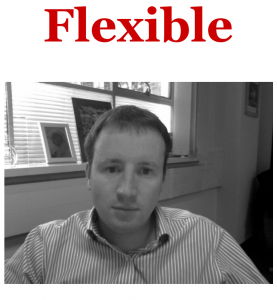 Our core value is flexibility so again: are we being flexible? In Jim Collins book “Good To Great” he describes the level 5 leader as someone who is humble. The higher up you go in an organisation the higher your emotional intelligence needs to be. Emotional intelligence comes with age but self regulation, self awareness, empathy and social skills are needed by all great leaders. It’s not IQ but EQ that matters. You don’t need to know everything about the business you just need to have the phone number of the person who knows the answer. John Timpson has written a book on bottom up management. Here he describes how the management hierarchy can be turned on its head with the managers supporting the front line staff. Decision making is then devolved to the front line staff. The concept is that the front line staff know best as they are closest to the customer. Other leaders lead by example by being prepared to do all the low level jobs in the business. They then get a unique insight as to what is good and bad and then have the power to make the necessary changes. Sounds like common sense but as they say, common sense is not all that common. The biggest decision a leader has to make is who shall succeed them. On this note it is very important to develop future leaders. Coaching and mentoring of less experienced staff has to be a priority for all leaders after all you’re not going to be around for ever! It is often said that leaders look at What and Why and manager address the How and When. The reality is that all managers need to be leaders. Management is largely broken down into three main areas. Planning tasks, analysing the business and monitoring, You need to propagate through a continuous cycle of planning, doing, analysing and changing. Different people have different management styles. Some are nasty managers and some are the nice guys. Both the carrot and stick work but you need to be authentic. Yes you can have one manager be the good cop and the other the bad cop but being yourself is what matters. Some managers are autocrats and are into status. Others like to be democratic. I personally prefer a consultative style where you ask for people’s opinions and then armed with this information make the final judgement call. Jack Welch of GE Capital said you need a P wrapped with 3 Es. You need passion and then energy, edge and execution. Energy is the most important aspect of being a manager. Your ability to energise your workforce to greater heights. Your conversations with staff need to energise not de-energise. You should always try and finish on a positive note. Edge is about a manager’s ability to make decisions, that’s a yes or no not a maybe. Execution is how quickly you can deliver the goods and bring the strategy to life. Lots of business leaders nowadays say its 20% strategy and 80% execution. You can have a great business strategy but if you can’t execute it it’s worth nothing. Strategy is what the business does and what it doesn’t do. It’s about having focus. In strategic planning you need to diagnose the problem, find the pivot points and come up with an action plan. Strategies are about predicting the future of a company. It’s about having a vision of where this business might be in 5 or 10 years time. You should always go where the growth is and where the money is to stay in business. Strategy is perhaps something that senior managers do whilst middle managers remain more operational. It’s always better to have an evolving strategy that gets reviewed rather than a linear strategy that never changes. To me, that’s what being flexible is all about. Being flexible with your strategy, your execution of that strategy. Being flexible with your people, your customers and perhaps even your finances. Managers must be responsible, accountable and have ownership. Responsibility is about delivering business results. The quality of management can be measured by whether results were exceeded. Accountability is about keeping count of KPIs and keeping score of actual results versus targets. Finally, ownership is about owning your ship: no one likes a sinking ship do they? The difference between a good business and a great business is whether it is international. English is the global language for business. Modern telecommunications, the internet and cheap air travel means doing business around the globe is relatively straight forward. Nowadays people don’t even have to turn up to the office. One minute you can be working in New York City the next in London. Even aeroplanes have the internet on board! Going international can open up new business opportunities and widen your talent pool. You can also take advantage of global currency markets. Winning with partnerships ultimately comes down to the relationships between companies and their people. To get a mutually beneficial business partnership the businesses should complement each other and ideally be of similar size. The core competences of one company needs to be a weakness of the other and vice versa. New companies often tackle a market with a joint venture and a new entity is established. Win win partnerships can create a 2 + 2 = 5 scenario reducing costs of sales and opening up new opportunities. Channel sales are where companies sell their product indirectly through other channels can be highly lucrative. You need to sell your product and service to a value added reseller who then sells your service to the customer. Indirect sales like this can take longer to establish but when they are setup can prove to be fruitful as you have effectively recruited another company’s sales force. Providing your product does not conflict with the value added proposition of the 3rd party the lifetime value of these partnerships can bolster sales. Partnerships come with risks as well as rewards. Some companies do ask for exclusivity and adding a time limit on such contracts or a minimum payment threshold can de-risk this for a business if the relationship does not work out. Always start partnerships with the exit in mind. What happens if it goes wrong? What if these partners divulge company secrets to competitors? Non disclosure agreements are needed to protect yourself from such wrongdoings. You need to build trust with partners and pilot periods can help assess if the businesses are a good match. Partnering with your competitors and partners competitors can be a good strategy for finding partners. Once the right partners have been found frequent face time is needed and regular conversations are needed to build relationships. If a partner is not working and is not being proactive against sales targets and objectives you may well need to drop the partner. That’s why finding the right partner in the first place is so important. In order to ensure the partners are energised it’s always worth giving away a decent percentage of the gross profit margin otherwise they may not get excited about your product. What percentage you give away will depend on exclusivity, the size of the partner’s channel and how much budget they are going to allocate to promoting your product to their audience. Stepped revenue shares where the percentage increases upon particular sales targets being reached can also incentivise partners to push your products harder. Finally, make sure you agree clear payment terms with partners. Cash collection from companies in certain countries can be more challenging than the UK. Initial deposits for orders and payments upon completion can help alleviate this issue. Murphy’s law states what can go wrong will go wrong. With this in mind ensuring your company is protected with strong commercial contracts and employment contracts can avoid being brought to tribunal or ending up in the Old Bailey. The larger the business becomes the more legal issues start to crop up. Who owns the IP of your software? What are the terms of employment contracts? What business insurance do you have? What non compete clauses do you have for key members of staff and how enforceable are they? Outsourcing these issues to professional law firms and HR consultants is usually the best approach. If there are no contracts it will boil down to your word against theirs which will not stand up in a court of law. Usually when this happens out of court settlements are agreed during these types of disputes. In commonwealth countries a form of English law is followed. In other countries such as China protecting your intellectual property is much more difficult if not impossible. The amount of bureaucracy varies from country to country and the amount of paper work and compliance can affect the ease of doing business. When approaching a potential high growth international market it is always worth think about the risks of non payment but also having your products and services ripped off. Some corrupt firms will buy your products only to recreate and reengineer them. You might get one lucrative order followed by zero future orders. Some markets you might want to avoid due to bribery and corruption or business ethics. Doing your homework on each market and having good local partners can be invaluable on choosing which markets to compete in and which ones to avoid. Going to court can take a long time and the only winners are the lawyers. Mediation outside of court to negotiate settlements is best where possible. Some big companies don’t care too much about the law and break regulations only to pay the hefty fines because they can afford to do so. My advice is to follow the letter of the law and be proactive with professional advice to ensure you have all the necessary paperwork in place. You need to ensure all employee contracts are kept in good order and archived up to 7 years. Clear heads of terms need to be agreed before entering into commercial contracts and these need to be signed by both parties. Some recruitment agencies may simply email their terms of business be careful of this as you do not need to sign them to agree to the terms. If you then go onto hire a member of staff they may well be able to claim a fee even if they did not introduce the candidate. Be a law abiding citizen and avoid ending up in jail! Custodial sentences are given to the worst cases of financial fraud, money laundering and corruption. Businesses are fragile. Many of the biggest companies 50 years ago are no longer around today. The purpose of the business is the most important and getting staff to align with the vision (where you are going) and the mission (how you are going to get there). Business changes rapidly – staff mature and learn new skills, and some staff move on. Product lines change: at any moment the cash cow can be replaced by a rising star product. Government policies, regulations and the environment can make business harder or easier. Supply and demand can dictate a business’s success but I believe what matters the most is a winning team. A winning team can be successful even if the product is not the best and the market is not the most buoyant. We must be curious in business – to always be on the look out for opportunities and ask the right questions about people, products, markets and finances. If we don’t ask the right questions and we don’t look at the right data we will keep doing what we have always done. As Einstein said there’s only one true sign of insanity: doing what you have always done and expecting a different result each time. If you do what you have always done you get what you have always got. We must be curious, we must act on this curiosity with energy and pro-activity and we must be helpful to each other to build strong and lasting relationships and strong and lasting businesses. Above all we must be flexible. We must be capable of bending easily without breaking. When the market changes we change, when the job changes we adapt, and when we change we become real leaders. We must ensure the products we produce meet the customers needs. We must continuously improve. This entry was posted in business book, entrepreneur, Sean Gilligan on September 3, 2014 by Sean Gilligan. Having attended the NOAH Internet Conference in London and listened to a number of guest speaks it really has dawned on me that we are living in a special time. The Internet Age is the New Industrial Revolution and we need to educate the children of today to embrace this new phenomena. The internet is transforming many industries and it’s the new gold rush. It is important that children learn to work with computers and not against them as this will determine career success. The reality is a lot of work traditionally done by people is being automated by computers. Mobile technology, social networks and cloud computing are creating new companies and new industries. Hence, the need for children to learn how to code computers. Our country needs to create things and this was traditionally done by manufacturing but perhaps now it’s about creating world class software and internet companies. Marks and Spencer is being challenged by ASOS, Blockbuster by Lovefilm and Netflix. The next generation are wanting to work when they want and where they want leading to the popularity of websites such as People per Hour, Elance and oDesk. We must not see the internet as a threat but as a real opportunity to change the world for the better. We must educate children in the new skills for the digital age and ensure their living standards are maintained. The rise of China and India is making competition for jobs increasingly competitive so we must differentiate ourselves. This entry was posted in entrepreneur, internet, jobs, noah on November 16, 2013 by Sean Gilligan. 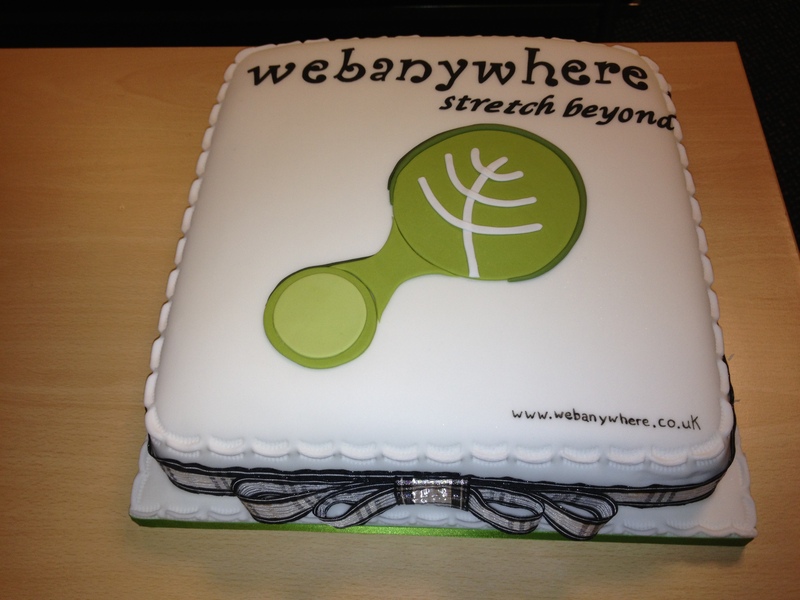 Webanywhere are celebrating our 10th birthday. We’ve come a long way from the company founded in my back bedroom a decade ago, and we couldn’t have done it without our customers, both old and new. Look out for upcoming announcements as we celebrate this landmark in our history (and for pictures from our staff party this Friday!). Here’s to the next 10 years – to new jobs, continuing innovation and to new horizons in the blooming educational technology market! This entry was posted in entrepreneur, family business, Landmarks, Webanywhere and tagged anniversary, birthday, thank you on September 3, 2013 by Webanywhere.